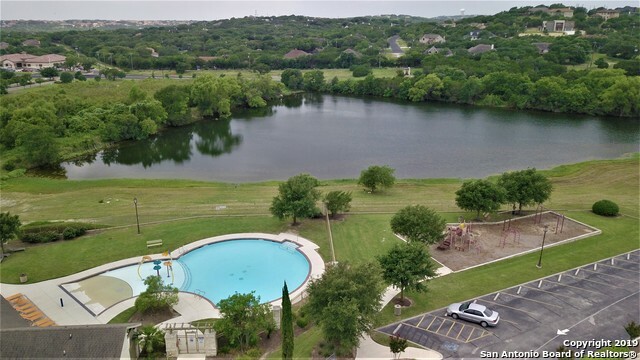 All LAKESIDE AT CANYON SPRING homes currently listed for sale in San Antonio as of 04/24/2019 are shown below. You can change the search criteria at any time by pressing the 'Change Search' button below. 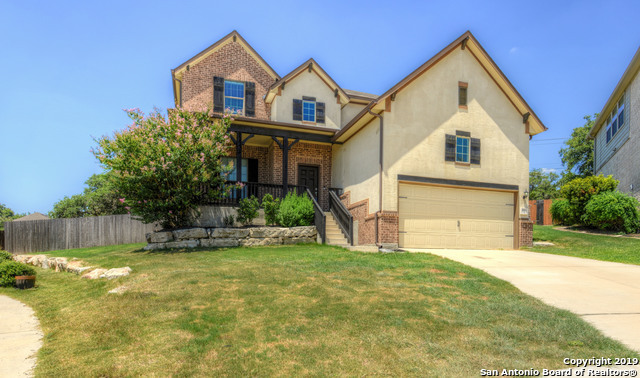 "Beautiful home on a cul de sac in Lakeside@Canyon Springs backs up to greenbelt. Home features a double staircase. The MSTR BDRM boasts a sitting room & walk in closet. 5th BDRM downstairs use as guest/office. Kitchen has granite counters & lots of storage. Garage has built-in work bench w/peg board system & over head storage. Custom deck with hot tub. Seller's love the home but being transferred. Recent mntc & updates: interior paint, sliding barn door, plus water softener, carpet, & fixtures "
"THIS BEAUTIFUL 2 STORY HOME, IS STUNNING INSIDE AND OUT . 4 BEDROOMS, 3.5 BATH , BIG MASTER SUITE,ALL BEDROOMS UPSTAIRS, MANY CLOSETS, TWO FAMILY ROOMS, DOWNSTAIRS AND UPSTAIRS, LARGE ISLAND KITCHEN, OPEN AND BRIGHT FLOOR PLAN. AMAZING COVER PATIO WITH FIREPLACE AND TV INCLUDED." "Stunning home in gorgeous Lakeside @ Canyon Springs on a Cul-De-Sac has so much to offer. From the beautiful front porch, captivating wood & iron stairway at the entry to downstairs master bedroom w/dual vanities, garden tub, walk-in shower & spacious closet. Kitchen has built-in oven & microwave with gas stove top. Upstairs has 3 VERY large bedrooms, media room & loft/game room. Outdoor kitchen on your large lot. This house has it all! Check out the taxes & BR sizes!" 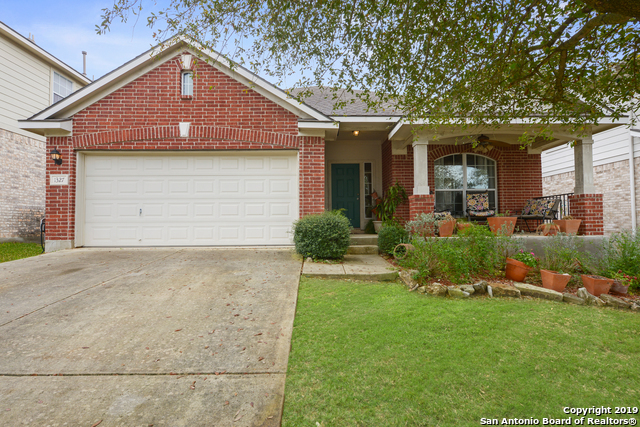 "Extremely well maintained home in very desirable neighborhood! Home has a recently replaced water heater, new PRV valve and newly installed seamless shower in master. Brand new custom shutters just installed too!!! Large downstairs master with beautiful wood floors. Custom kitchen cabinets with stainless steel appliances. Beautiful backyard with patio and double deck ON A GREENBELT for barbecues. IT DOES NOT GET MORE MOVE IN READY THAN THIS. Did I mention the highly rated schools also?" "One story home in the desirable Lakeside at Canyon Springs. Open floor plan with three bedrooms, study and two baths. Secondary bedrooms are split from large master bedroom. Large eat-in kitchen with custom cabinets, sprinkler system, separate large living/dining room make this home spacious and inviting. Backs to greenbelt for extra privacy. Conveniently located off of 281 in Comal ISD. Amenities include a pool and playground that overlook the lake. Sit on your front porch and enjoy!"